Is your house on well water? There are certainly some pros and cons to running off well water. On one side, well water allows for some independence from local governments. At the same time, well water can sometimes be easily contaminated with sediment, heavy metals, and other contaminants that you’ll want to filter out. There are several ways to do this, but the most convenient is a whole-house filter, which treats the entire water supply for your home. In this guide, we’ll help you find the best whole house water filter for well water. There are lots of different options, ranging in price from a few hundred dollars to thousands of dollars. To help our readers choose, we narrowed things down to only models that are specifically intended for use with well water. Here are our recommendations. The Home Master HMF3SDGFEC is one of the few water filters that are actually specifically designed to be used with well water. Many water filters will work okay for well water, but it’s actually difficult to find one that’s built specifically for that purpose. This unit from Home Master is optimized for the removal of iron, sediment, manganese and other contaminants found commonly in well water sources. It’s not as effective for city slickers, as it’s not really designed to filter out chlorine. For those on well systems, this is an excellent choice. The 3-stage filtration system can safely remove up to 95% of contaminants – without significantly reducing water pressure. And make no mistake, this is definitely a whole-house unit. It’s high capacity and 15-gallon per minute flow rate means that you can easily supply your entire home with water, and even use multiple appliances at once. Home Master is a trusted name in the water filter industry, and this unit in particular has earned great reviews from customers. It’s not the cheapest unit out there, but it’s highly effective, and the ongoing costs are low thanks to filters with a 100,000 gallon lifespan. The iSpring WGB22B-PB is among the best whole house water filters for well water. It’s also relatively affordable compared to many other whole-house filters. This unit sets up at your main water supply, and keeps a high flow rate to supply the entire house with filtered water. The iSpring is also very well rated in well water filter reviews, so we’re not alone in our recommendation of this unit! iSpring makes several models, but this specific model is well-suited for houses on well water. This setup comes with a carbon filter that removes the larger sediment and contaminants, and a secondary filter that’s specialized to remove lead and iron, two common issues for well water. And the effective filtration on the iSpring can remove a lot more than that – from chlorine to rust to pesticides and VOCs, this is an all-around highly effective filter unit. Best of all, it’s an affordable setup. If you’re looking to stick to a budget, this may be the best well water whole-house water filter. The Aquasana Rhino Well Water Filtration System is an advanced unit that offers a wide range of features. This is the ultimate in home water filtration systems, and it’s designed specifically for well use. 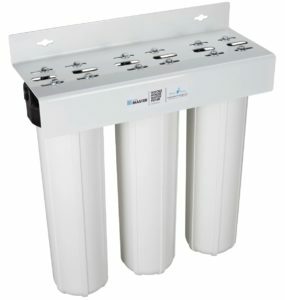 This unit combines several important units: An advanced sediment water filter designed to last 5 years, a salt-free water softener, and a UV light filter to kill bacteria and viruses. Combined, these units can kill 99.99% of bacteria and viruses, remove cysts, and remove 97% of chlorine – all while softening your water by reducing hard mineral content. Well water is often considered hard water because of its relatively high mineral content. Thus, many people on well systems purchase both a water softener and a water filter. This unit from Aquasana combines both into one! Plus, it’s a salt-free softener, which requires significantly less maintenance and produces less waste. And when it comes to water purification, Aquasana water filters are among the most popular in the industry. Overall, this is perhaps the best whole house water filter for well water, if you are willing to spring for the extra expense. Once you get your unit, you’ll need to install it. This can be accomplished with basic plumbing knowledge, but it will require you to cut the copper supply lines and install the appropriate fittings. If you don’t feel comfortable with this kind of work, it’s recommended to hire a pro so you can ensure it’s done properly. Wondering how to install a whole-house water filter on your well? Installation Location – You’ll want to install your setup where the water supply first enters your home. This may be in your utility room, basement, or wherever your water heater/storage tanks are located. Unlike other filters, whole-house setups generally won’t install under your kitchen sink, and they require a good amount of space. Make sure to measure your installation area to ensure it will fit properly. 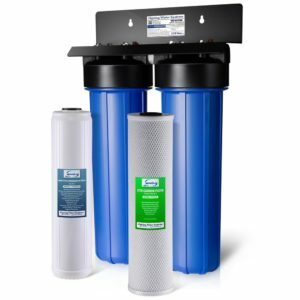 Prefilter – You’ll want to consider if your filter setup already includes a prefilter/sediment filter, or if you’ll want to purchase one separately. Prefilters will remove some heavy sediment and minerals, but won’t actually purify your water. Using a prefilter can help to reduce the workload on your main filter unit. It’s particularly important if you live somewhere with very hard water. Plumbing Skills – Before you get started, think about your experience with plumbing and your general comfort level when it comes to handyman skills. If you have no experience with plumbing, it may be worthwhile to hire this job out. Whole-house water filter installation costs vary significantly, but you can expect to spend at least a few hundred dollars for an installation. 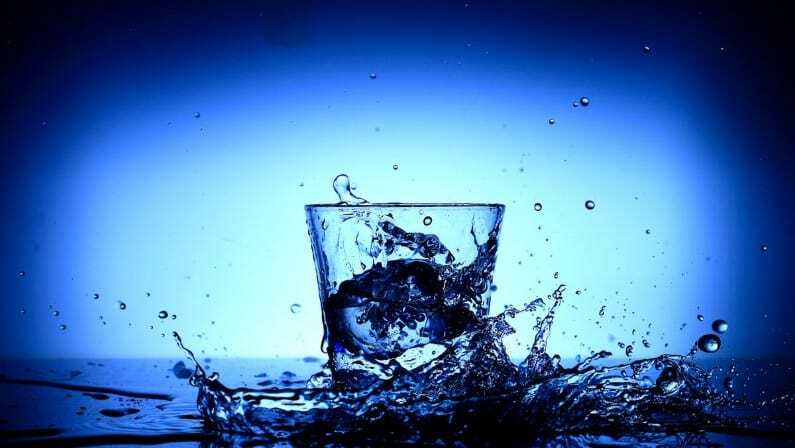 Water Quality – Well water can be very clean and high-quality – but it can also become contaminated quite easily. Environmental factors around the well can easily contribute to contamination. Lawn treatment chemicals, pesticides, spilled fuel, and other contaminants can sometimes seep into well water from nearby sources. It’s important to maintain healthy water quality in your well, and a filter can help. Safety – When you draw from a private well, you are solely responsible for the safety of that well water. There are no government regulations or treatment practices in place to protect your water supply. There are a lot of very dangerous potential well water contaminants to be concerned about – most of which can be addressed using a filter. Testing – When drawing from a private well, it’s important to conduct routine tests on your water supply. The EPA recommends testing at least once per year, in order to gauge the safety and quality of your drinking water. Hard Water – Wells are also prone to having hard water, which is water rich in dissolved minerals. While not harmful to human health, hard water can cause stains on showers and sinks, and can also damage appliances. 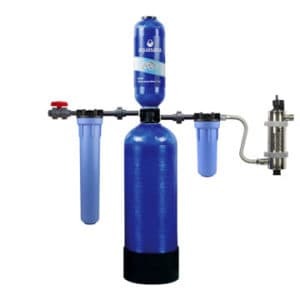 Some of the best whole house water filter for well water options also soften water. Well-Specific – We chose models that were specifically designed for use with well water. There are actually surprisingly few well-specific models out there, as the majority are made for city use. We found the best options on the market that are actually intended for use with private well water. Filtration Technology – We of course looked at the actual filtration technology of each unit. It’s important to have an effective filter that can safely remove harmful contaminants. Flow Rate – Since these products need to supply water to your whole house, the best whole house water filter for well water needs to have a high flow rate. We chose models with adequate flow rates to supply an entire average-sized home with filtered water. Value – There’s quite a range of prices in the industry, and even products on this list range from less than $400 to over $1800. Instead of looking solely at the cost, we analyzed the actual value each product offered, compared to its upfront and ongoing costs. If you have any questions about finding the best whole house water filter for well water, just leave a comment below! And don’t forget to check out our full guide to the best water filters of all types.